Are these 5 Youngsters ready for Round 1? And most importantly - your Dream Team or Super Coach squad? 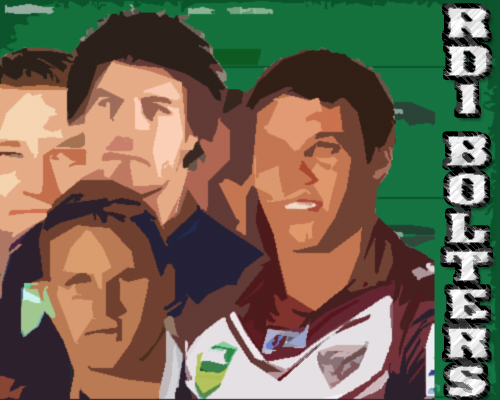 NEED EXTRA HELP WITH YOUR NRL DREAM TEAM? If you missed part one of The Postman's Dream Team tips - then go back and read that then continue below for more. This writer moonlighted at www.dreamteamers.com.au in 2012 as 'The Postman' - delivering daily NRL Dream Team prognostications on a daily basis for those troubled DT-addicted masses. 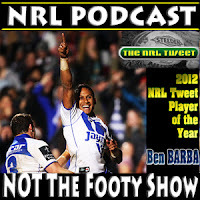 While 'The Postman' may have a new official home in 2013 for DT prognostication - more on that as it comes to hand - here are 5 Bolters for Round 1 you need to know about as you tinker with your NRL Dream Team squad for the 106th time this pre-season. And remember, these tips generally apply to NRL Super Coach as well. Update 19/2: Two of the Five Players named below made the starting team for the Foundation Cup. But one of them missed out on his team's final trial squad... not good news. Has the edge on St.George-Illawarra's Josh Drinkwater as your rookie half because Miller's main competition for a spot - Curtis Sironen - is still recovering from a shoulder reconstruction He may be in NSW Cup after a month but with increased trades in both games - you have to give the kid a chance from the get-go. The Postman's Mail: If he's able to get his fair share of kicks in general play from Marshall and is up to making the 20 or so tackles he'll be targeted to make by opposition teams - he's a Fantasy must in Round 1. But you need Braith Anasta to stay happy playing 50 minutes in the backrow to think he's a long term 'Adam Reynolds/Daly Cherry-Evans-type rookie). Another young Tiger set to get a run in round 1. With last year's Fantasy star Aaron Woods nursing a knee injury, there is room on the Tigers' bench for Buchanan if he impresses in their final trial - the Foundation Cup v the Roosters. Snared from the Dragons due to the logjam up front in first grade there, Buchanan might be a steal if he gets decent minutes from Potter in the early rounds. Update: Named to start in the Foundation Cup... looks a great chance for Round 1. The Postman's Mail: Might only play 25 minutes a week but props are the best at getting good base stats from limited game time. He could put up 15/6/60 and for the lowest price in either Fantasy Game - you'll take that to swap him later on for a established first grader who drops in price. The NYC star is no longer eligible for the Holden Cup so it's first grade or bust for the third of the Sims brothers. The wraps on the kid are rather large but they were on Ashton when he arrived in first grade (way back in 2003 would you believe) and he has only evolved into a solid player, while brother Tariq has had his road to stardom interrupted because of two broken legs in two years. Listed as a Second Rower in both games, but played at Prop in NYC last year. Update: Another youngster who just joined the club is now apparently ahead of Sims in the pecking order - Mitchell Frei made the final Newcastle trial in Tamworth and Sims did not. The Postman's Mail: The key for Sims is to win the #4 prop spot at the Knights behind Kade Snowden, Willie Mason and Adam Cuthbertson. His main rivals are Zane Tetevano, Neville Costigan and David Fa'alogo - the latter two are experienced first graders so he needs a big pre-season to get a run in Round 1. Upside is he featured on a Newcastle bench used in both halves in their most recent trial win over Souths. Needs to train the house-down over the next two weeks to beat out Ben Farrar for the wing spot that might be vacant if David Williams isn't ready to return from a knee reconstruction in Round 1. Joined Manly from Parramatta looking for a chance and he might just get it after being selected to start on the wing in both trials. Jorge Taufua is expected to be okay for Round 1 - so Gagan's best chance is if Williams can't play and he did more than Farrar this pre-season (Note: If Farrar gets the nod - he's not out of this price range). The Postman's Mail: Probably the longest shot on this list to start in Round 1 - but he's probably got the best short term price rise potential as well. Remember Williams is a right winger, and Jamie Lyon is a right centre... so if you win the battle for a spot in Round 1 - you play outside Lyon. Hello Pointsville. If he's half as good as his brother Jesse - the Storm have a player on their hands. Primarily a backrower in NYC, he's got the size to play up front and that might be art of his role off the bench if he makes the squad for Round 1. Obviously we will have a clearer indication of his chances if he makes the World Club Challenge team this weekend, but besides Jason Ryles backing up starting props Bryan Norrie and Jesse Bromwich - there isn't a lot of certainty on the Storm bench. The Postman's Mail: If he gets a gig for the WCC - he might be the perfect dual position guy to have in your squad for Round 1. Kevin Proctor is also nursing a knee injury - so Bromwich's chances of a call-up are excellent. You might not have a full-season option in 'Kenny B' (say it like you're referring to the saxophonist 'Kenny G') - he might be a decent short term cash-cow. Those are just five youngsters itching for a chance in Round 1 - The Postman has plenty more but right now, am not at liberty to reveal every bargain pick for the 2013 Dream Team/Super Coach season. Got a sneaky suggestion for a Round 1 bolter from this year's youngster brigade?